The most popular floor plan that was ahead of its time. Quality construction by Chris Stauffer. 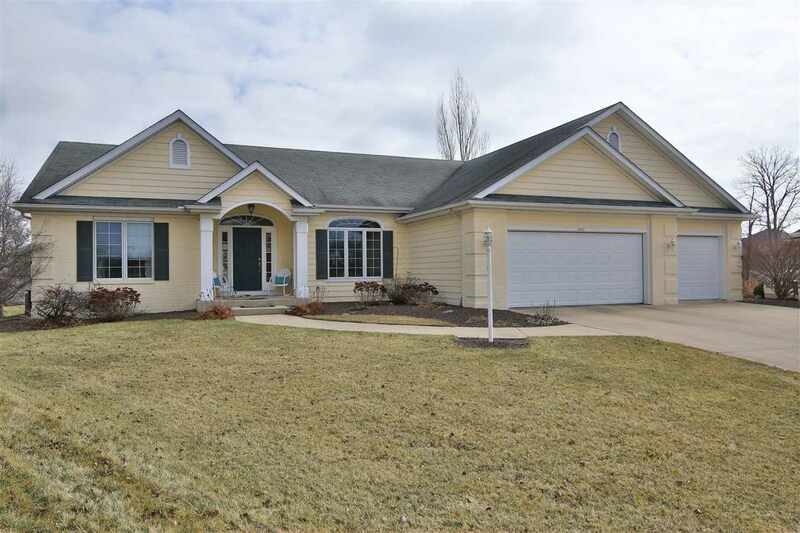 You’ll feel every bit at home in this charming ranch on a finished daylight basement. Home has been meticulously maintained and updated over the last several years. Including a complete master bath makeover and additional room constructed on the lower level. A welcoming foyer leads to the formal Dining Room and the Great Room which is fringed by an open staircase. This split-level floor plan features 5 possible Bedrooms (3 Main/2 LL), hardwood floors, a true Hearth Room w/ double sided fireplace, and custom cabinets level. Lower Level features a fully plumbed kitchenette and half bath, in addition to a corner fireplace. The large recreational area is a multi-functional space, and you’ll find plenty of storage area with a basement length storage room that has built-in shelving. Situated on a quiet cul-de-sac lot with friendly neighbors, you’ll feel at home the minute you step out of the car.